No other region in Italy offers as large a selection of outstanding white wines from so many different grape varieties as Friuli Venezia Giulia does, while the region’s native red grapes yield wines that are equally distinctive. Make no mistake about it: Friuli Venezia Giulia is the region where, in the 1970s, Italy’s white wine quality renaissance began. 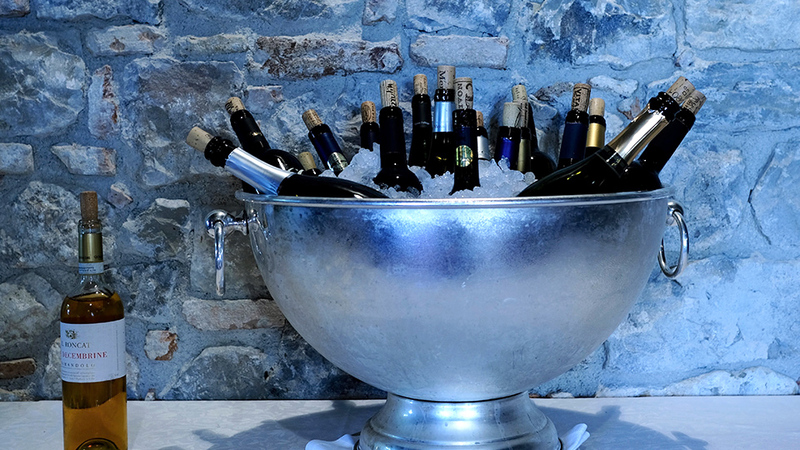 Prior to this awakening, with very few exceptions Italy’s white wines were mostly charming tipples meant to be quaffed in the local market within six months or so after having been bottled, as the wines generally oxidized soon thereafter. Thanks to the example set forth by the likes of Livio Felluga, Silvio Jermann and especially Mario Schiopetto, who introduced temperature control and began paying greater attention to cellar hygiene, other producers in the region finally began making cleaner, more precise white wines from the many grape varieties grown throughout the area. Later, in the mid-to-late 1970s, positive steps were also taken on behalf of the native red grapes of the region, many of which, like Schioppettino and Tazzelenghe, were actually illegal at the time, as the officials forgot to include them in the list of registered grape varieties for planting. But when the first monovariety Schioppettino bottles finally began to appear on the market, wine lovers became fast believers. And it wasn’t just Schioppettino but many other exciting local red and white wine grapes that were quickly saved from oblivion. International grapes have also been long at home in Friuli Venezia Giulia: Cabernet Franc and Pinot Bianco, each boasting at least 300 years of history in the region, are traditional wine grapes here, while the likes of Chardonnay and Cabernet Sauvignon, which had never been grown much before are later arrivals that have also stuck. Today, Friuli Venezia Giulia offers Italy’s biggest line-up of outstanding white wines (Alto Adige is the only other region in Italy that boasts comparable diversity and wealth of white grape varieties and wines). But the region also offers a unique array of red wines unlike those made anywhere else in the country. 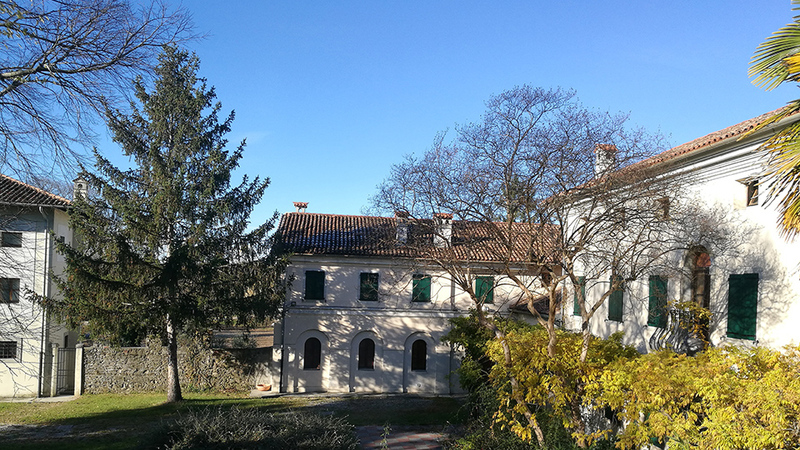 You can look at Friuli Venezia Giulia as Italy’s mirror image to Piedmont. While Piedmont has numerous high-quality red wine grapes and only a few whites, Friuli Venezia Giulia is the exact opposite, boasting a plethora of quality white grapes, along with four or five extremely interesting red varieties as well. For the most part, annual wine production is very stable, and has hovered around 1.1 million hectoliters for the past ten years. Production is roughly two-thirds white wine and one-third red (rosés have never been a significant part of the region’s wine production). The region not only produces very good white wines but a lot of them too. Roughly 5.1% of all Italian white wine is made in Friuli Venezia Giulia (the region’s red wines account for 2% of Italy’s red wine total). Over the last ten years, DOC and DOCG wines have made up around 65% of production, but the most recent data available, on the 2012, 2013 and 2014 vintages, is skewed by the difficult 2014 vintage, when less DOC/DOCG wine was made (just 49% in 2014 vs. 90% in both 2012 and 2013). Along with Piedmont, Friuli Venezia Giulia is the Italian region that boasts the largest number of high-quality native cultivars. Among native white grapes, Ribolla Gialla, Malvasia Istriana, Picolit, Tocai Friulano, Vitovska and Verduzzo Friulano all give significant volumes of at times exceptionally distinguished wines. International white grapes are very successful too, including Pinot Bianco, Pinot Grigio, Sauvignon Blanc and Chardonnay. The first three yield some of the region’s best wines; the Pinot Biancos especially are Italy’s best (only Alto Adige’s Terlano and Nalles-Magré co-ops make Pinot Bianco wines that can stand up to the best from Friuli). The pungent Sauvignon Blancs have also made a name for themselves in both local and international wine-loving circles. Native red grapes include Pignolo, Refosco del Peduncolo Rosso, Refosco Nostrano (also called Refosco di Faedis), Schioppettino, Tazzelenghe and Terrano. International varieties such as Merlot, Cabernet Franc, Carmenère and Cabernet Sauvignon are also common but, although traditional and popular, these grapes rarely give truly noteworthy wines because the region’s climate is just too cold and rainy in most years for those grapes to ripen fully. Perhaps climate change will prove to be a positive development here. A quick overview of white grapes must start with Ribolla Gialla, a high-acid cultivar that has recently been the object of much experimentation. While some producers continue to make classically dry wines with it, others have turned to using it for mostly sparkling wine production by using the Charmat-Martinotti method in an effort to replicate the success of Prosecco (a few producers also make sparkling wines via secondary fermentation in the bottle à la Champagne). Still others advocate the use of very long macerations with skin contact for what are known as “orange.” Although not every wine made in this style is memorable (or even drinkable), there is no doubt that this is the region that produces Italy’s best wines made via long skin contact. Such wines are rarely oxidized beyond redemption as they are in many other parts of Italy. However, the fact remains that the Ribolla Gialla wines of producers such as Doro Princic, Miani, Primosic and Toros clearly demonstrate how, in the hands of truly competent and passionate producers, Ribolla Gialla does not need to be subjected to such gimmicks. The difficulty for most producers lies in the fact that for Ribolla Gialla to give truly world-class results, both very old vines (which help curb the grape’s natural tendency to overproduce, especially in flatland vineyards) and hillsides are needed. While Tocai Friulano is the grape better known as Sauvignonasse elsewhere in the world, Friulano is the name of the wine, which speaks of fresh citrus fruits, almond and herbs. There are some remarkably deep and complex wines made with this variety, many with a gentle touch of oak. Malvasia Istriana yields what is possibly Italy’s most mineral white wine, and it also shows a lovely aromatic peppery, gingery quality that is irresistible. Verduzzo Friulano is a rare white variety that is naturally tannic and so wines made with it are thick and chewy, especially sweet versions such as the wines of Ramandolo (which are made with air-dried fruit). These Passito wines are some of the richest sweet white wines made in Italy. Much lighter in texture and style are sweet whites made with Picolit, but these wines reflect not just terroir but producers' winemaking decisions too (such as the use of air-dried or late-harvested grapes). Good examples are honeyed, rich and perfumed but never quite as opulent as the sweet wines made from Verduzzo. Among the red varieties, Refosco del Peduncolo Rosso is the region's most planted, and yields mostly everyday drinking wines, much in the manner of Valpolicellas or Chiantis. Refosco is actually a very difficult variety that buds and flowers early but that also needs to be harvested late, and so it is exposed to the risk of spring frosts as well as to late-season rains. Refosco del Peduncolo Rosso wines are bright and lively, with aromas and flavors of blue and black fruits; but unless the grapes are fully ripe, vegetal streaks are common (something true of all the other native red grapes here as well). By contrast, the rarer Refosco di Faedis wines are characterized by bigger, broader tannins and less of a green element. Perhaps the most famous native red grape is Schioppettino, which is a real success story. The best examples are supposedly those labeled Schioppettino di Prepotto, as these wines are made in a specific subzone, the countryside around the towns of Albana and Prepotto. In general, Schioppettinos are delicately aromatic, exhibiting an enticing green peppercorn note along with blue and black fruit aromas and flavors. Tazzelenghe has become increasingly rare, which is an absolute shame as it is potentially one of the best red varieties in the region, right behind Schioppettino. Well-made Tazzelenghes boast remarkable balance and refinement. The name Tazzelenghe means “cuts the tongue,” in reference to the grape’s tendency to give high-acid, tannic reds, but such wines reflected the archaic viticulture and winemaking of the region. Tazzelenghes are not like that today. For the most part, Tazzelenghe wines are among Italy’s best-kept secrets, with a refinement and texture that all but the best Schioppettinos lack. Last but not least, Pignolo was saved in the latter half of the 20th century from extinction. One of Italy’s most tannic grape varieties, Pignolo requires extremely long aging to gain a suave texture and to allow its aromas and flavors and blue and black fruits, coffee, flint and licorice to shine through. Readers might want to keep in mind that Pignolos are practically undrinkable for about eight years after the vintage; until then, the tannins are just too much. Unlike most other Italian regions, the international and traditional (by academic definition, those international grapes that have been cultivated in a given place for centuries) varieties not only represent an important percentage of all cultivars planted in the region, but are used to make mainly DOC wines (almost everywhere else in Italy such varieties are used to make mainly IGTs, or table wines). According to 2010 data (Italy carries out official vineyard surveys only every ten years), of 19,250 hectares under vine, Pinot Grigio (4,751 hectares, or 24.7% of all surface planted), Merlot (2,821 hectares, or 14.7%), Chardonnay (1,351 hectares, or 7%), Sauvignon Blanc (1,291 hectares, or 6.7%) and Cabernet Franc (1,268 hectares, or 6.6%) are the all among the most planted varieties in the region. Among the truly native grapes (i.e., those that have been cultivated in the area for over a thousand years) only Friulano, at 1,631 hectares (or 8.5% of FVG’s surface under vine) breaks into the top five. As always, these statistics have to be taken with a grain of salt. For example, there are apparently 33 hectares of Bellone grown in Friuli Venezia Giulia (a rare variety typical of pockets in Lazio), which is frankly hard, if not downright impossible, to believe. It is more than likely that an error in ampelographic recognition was made – a not uncommon occurrence – and that those hectares are of some other variety, most likely one more common to the region. Friuli Venezia Giulia is home to eight DOCs (Denominazione di origine controllata): Friuli Annia, Friuli Latisana, Friuli Aquilea, Friuli Grave, Friuli Colli Orientali (FCO), Friuli Isonzo, Friuli Carso and Collio. Of these, it is the last four that are most important quality-wise, but there are many very fine wines being made in all of the denominations nowadays. As always, a problem with DOCs (among many) is that they are far too large; so there is no point in talking about – or even looking for – a Friuli Colli Orientali somewhereness in the wines, for example. 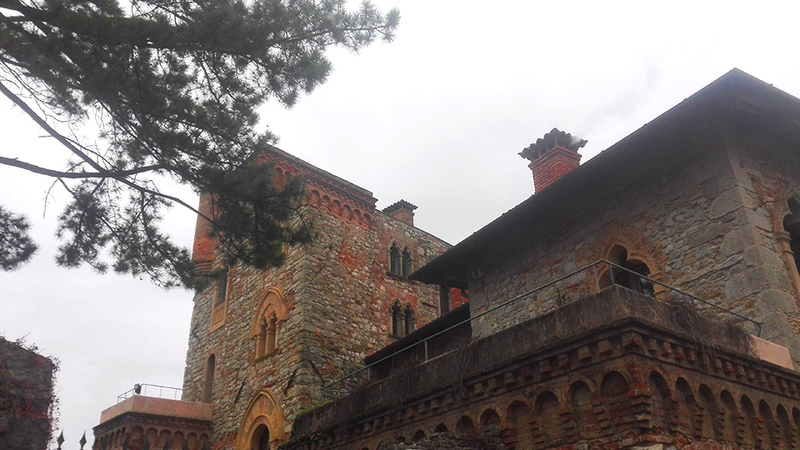 In fact, within the Colli Orientali, the countryside of Buttrio has a much warmer microclimate than does that of Faedis, so wines made in each will be different. Clearly, differences are even greater between denominations. The areas around Capriva (in the Collio) compared to those of Torreano (in the FCO) receive about 200 millimeters less of rain per year and experience average daily temperatures that are at least 10% higher. And so, not surprisingly, there is a ten-day difference in harvest dates between the two areas (clearly, the harvest in Torreano takes place later). The wines of Torreano are also generally lower in alcohol and fresher than those of Capriva, which are broader and more powerful. Generally speaking, Friuli Annia, Friuli Latisana and Friuli Aquilea are seaside denominations rich in alluvial and gravel soils. Various varieties are grown, with Refosco del Peduncolo Rosso the most important red grape and Tocai Friulano and Malvasia Istriana the most commonly found whites. Surprisingly enough, a few rare but good Gewürztraminers are also being made in these three denominations. Friuli Grave is the largest of the region’s denominations, and boasts many different production areas, with wines that vary accordingly. For example, while one portion of the Grave DOC is extremely rainy, others are not; in general, soils are quite gravelly, as is implied by the DOC’s name. The Friuli Colli Orientali (FCO), Friuli Isonzo, Friuli Carso and Collio are the four denominations associated with the largest number of high-quality wines. Collio may well be the most famous denomination for Italian white wine in Italy. There are four DOCGs (theoretically at least, the highest quality level in Italian wines) in Friuli Venezia Giulia: Friuli Picolit, Ramandolo (where the most unique Verduzzo wines are made), Lison and Rosazzo, the latter where some of the region’s best white wines are produced. Last but not least, there are also five official subzones: Pignolo di Rosazzo, Ribolla Gialla di Rosazzo, Schioppettino di Prepotto, Refosco di Faedis and Cialla. The wines made in each of these areas differ enough from those made elsewhere in the region that a separate category for them is warranted. In fact, Friuli Venezia Giulia has a long and distinguished history of site-specific wines and boasts many superior and highly specific terroirs. 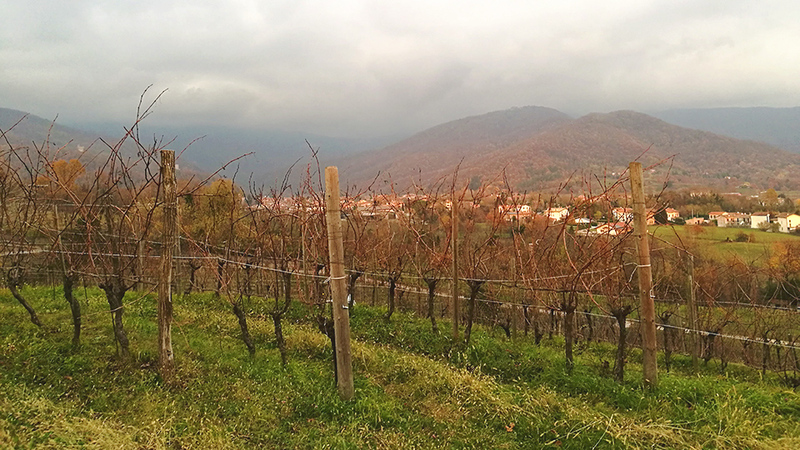 Other unique areas include the countrysides of Savorgnano and Rocca Bernarda for Picolit wines, Oslavia for Ribolla Gialla, and Buttrio, which, with its warmer mesoclimate, is ideal for red wines in general. The 2017 vintage was characterized by an early budbreak and alternating periods of heat and cold. It was not an exceptional year, and its white wines will likely turn out better than its reds, which will probably show some gritty tannins. Due to the hot weather, production was reduced by 10% on average and the harvest began about a week earlier than usual in most areas. In 2016, springtime rain during flowering lowered yields, but the rest of the spring and summer were uneventful, and for the most part all denominations in Friuli Venezia Giulia made very good wines, especially whites. The 2015 growing season was characterized by a lack of rain in the spring (only about 150 millimeters fell from January through the end of April) and in both July and August the heat became torrid (with many days of 30°C or more, especially in July). Although there was no disease pressure, some 2015 reds are marred by gritty tannins due to incompletely ripe polyphenols. White wines can show muted aromas due to heat-induced aromatic compression. The 2014 vintage was very difficult all over Europe. It was no different in Italy. The wines have more acidity and lower alcohol than usual, but some can be diluted as a result of almost non-stop rain in the summer. The white wines are generally much better than the reds. Of the red varieties, the thick-skinned Pignolo probably fared best. The 2013 vintage was one of high natural acidity; this late-ripening vintage produced healthy, ripe fruit and its wines contrast neatly with those of 2012, a much warmer, drier growing season in which many opulent yet well-balanced red and white wines were made that were practically ready to drink upon release. I tasted all of the following wines in late November of 2017 and February and April of 2018 in Friuli and over the same period in my office in Rome. The 2017 vintage will be reviewed later this year in Friuli Part Two.